Thisara Perera exhibited wonderful all round performance which enabled Sri Lanka to win the fourth one Day International against South Africa by five wickets which was their first triumph in the series. The Proteas smashed 299 runs for the loss of seven wickets in the allotted quota of fifty overs and the Lankan Lions chased the target successfully for the loss of five wickets with eight balls to spare. The match was played at De Beers Diamond Oval, Kimberley. on January 20, 2012. Perera was declared ‘Player of the match’ for his match winning performance as he claimed two wickets and thrashed unbeaten 69 runs. Earlier, South African Captain, AB de Villiers won the toss and opted to bat on a placid batting wicket with the vision to put a mammoth total on board. 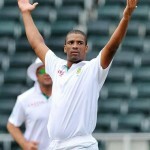 The innings was opened by Alviro Petersen and the experienced Graeme Smith who gave them a solid start. Their innings consisted of defence and attack while negotiating the opening burst from Lasith Malinga and Nuwan Kulasekara at merit. The fifty of the innings was achieved in the eighth over and the aggression was enhanced after that. The visitors got the first success when Petersen lost his wicket on the first ball of the 14th over once he had scored 37 runs at the total of 84 runs. AB de Villiers came in next and boosted the run rate instantly as Smith completed his fifty in the 15th over. The duo shared a useful partnership of 87 runs when Smith was caught by Tillakaratne Dishan off Malinga on 68 runs after facing 69 balls which composed one six and seven fours. De Villiers lifted the game by his forceful batting while having reasonable support from the other end by the incoming batsmen. He was unlucky to miss the century by four runs scored off 76 balls with three sixes and eight fours. The home side set a compatible target of 300 runs when they had lost seven wickets. Rangana Herath and Perera were the main wicket takers with two wickets each as Malinga and Kulasekara got one each as well. Sri Lanka faced the early blow when they lost their first wicket at 17 runs but the experienced duo of Dilshan and Kumar Sangakkara consolidated the innings by providing a solid partnership of 83 runs for the second wicket. Sangakkara was the second casualty for the visitors when he was gone at his personal contribution of 32 runs. Young Dinesh Chandimal joined in next with Dilshan and they persisted with the winning tempo. 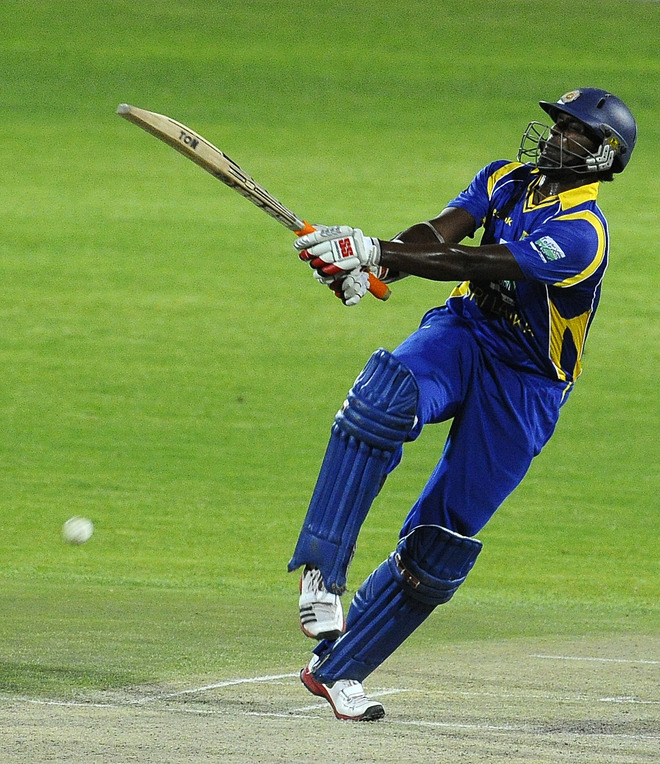 They added 68 runs for the third wicket before Dilshan was caught by Jean-Paul Duminy off Lonwabo Tsotsobe on 87 runs. The fourth wicket of Lahiru Thirimanne was captured by the hosts after the addition of 26 runs in the total in 34.4 overs. The run rate was creeping up once Perera came to the crease and joined with Chandimal who added another fifty in his records in the 36th over. Perera made his intentions clear by dispatching a six and four on the consecutive deliveries of the 37th over bowled by Robin Perterson. Chandimal was dropped on the fourth ball of the 41st over by the bowler Tsotsobe but got him two balls later at 59 runs. The fifth wicket fell at 246 runs in 41 overs when Perera took over the charge, played an attacking and calculated innings and send the fourth ball of the 49th over flying over the ropes which brought the encouraging victory for the visitors. He remained unbeaten on 69 runs off just 44 balls with the assistance of five huge sixes and three fours. Sri Lanka won the match by five wickets in 48.4 overs and will anticipate winning the fifth and final ODI on January 22, 2012 at Johannesburg to restore the lost pride as they are already down 1-3 in the series.